I’m very partial to a canape! I even made them for about 40 people one Christmas…never again, I tell you, I think I spent about three days in the kitchen. 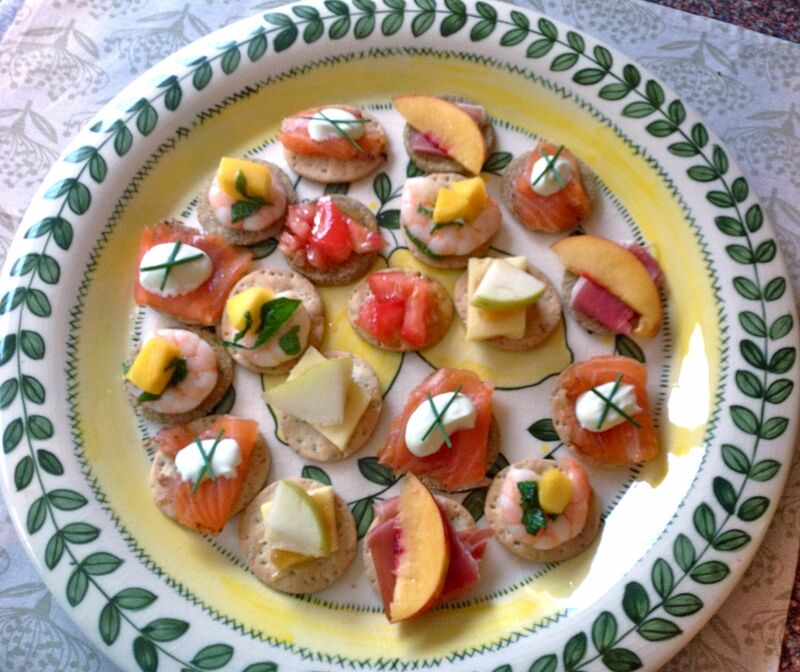 And from that I learned (besides not to volunteer for doing mass catering on my own)…keep canapes simple! Which is what I’ve done here. These delightful little snacks are quick to assemble, involve no cooking and they taste delicious. It’s all about ingredients and combinations. 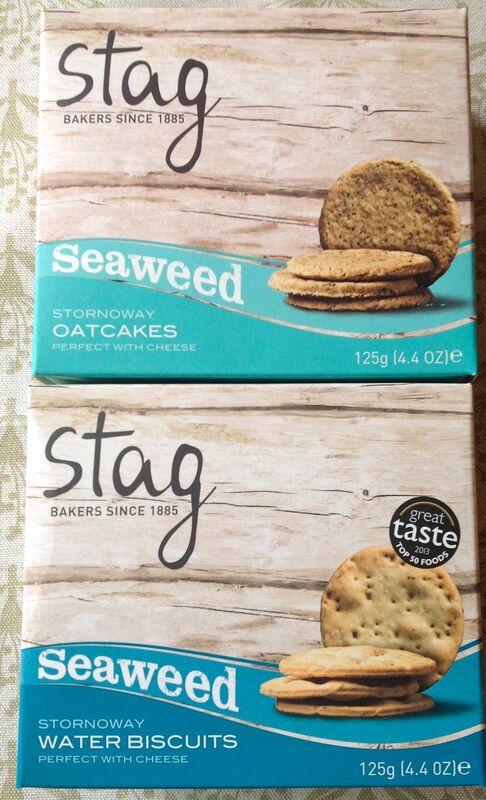 As the base I’ve used tasty new seaweed water biscuits and seaweed oatcakes from a bakery called Stag. 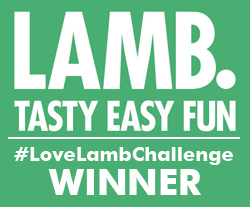 They’re made in Scotland and their special ingredient is Hebridean seaweed, which really transforms the flavour. The water biscuits are good enough to eat as snacks on their own and taste of the sea, yes really! Mix cooked king prawns with chopped mango and chopped fresh mint. Squeeze over the juice of a fresh lime and leave for at least an hour. 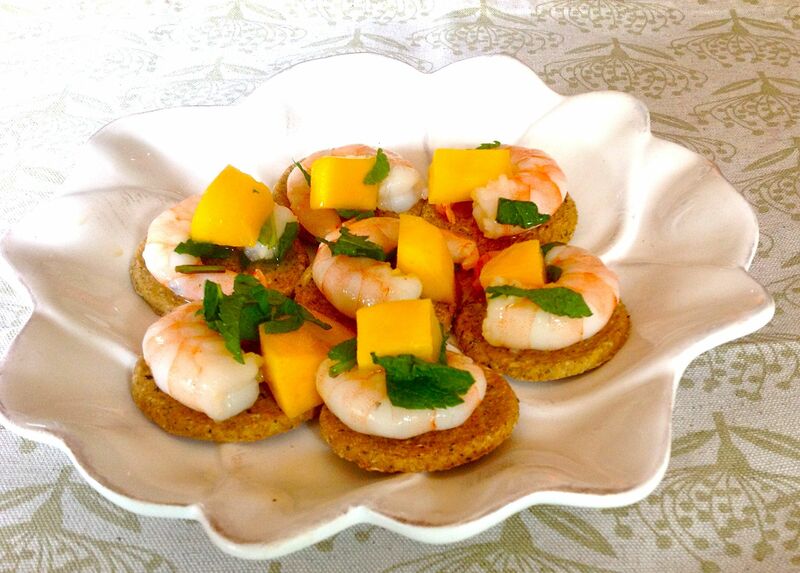 Top each biscuit with a prawn, piece of mango and some mint. Add wasabi paste to the creme fraiche and mix well. Experiment with quantities until you get the right balance of heat and creaminess for you. Start with a little wasabi and increase as necessary – it’s very hot and you can’t take it out! Snip the chives into pieces just less than the diameter of the biscuits. Cut the smoked salmon up into pieces twice the size of the biscuit. I like to use kitchen scissors to do this. Fold the smoked salmon in half and put on the biscuit. Add a dollop of wasabi creme fraiche and top with chives. I’ve made a cross with them here which made me think of kisses. Canapes with love! Slice the Cheddar and the pear into pieces just smaller than the biscuits. 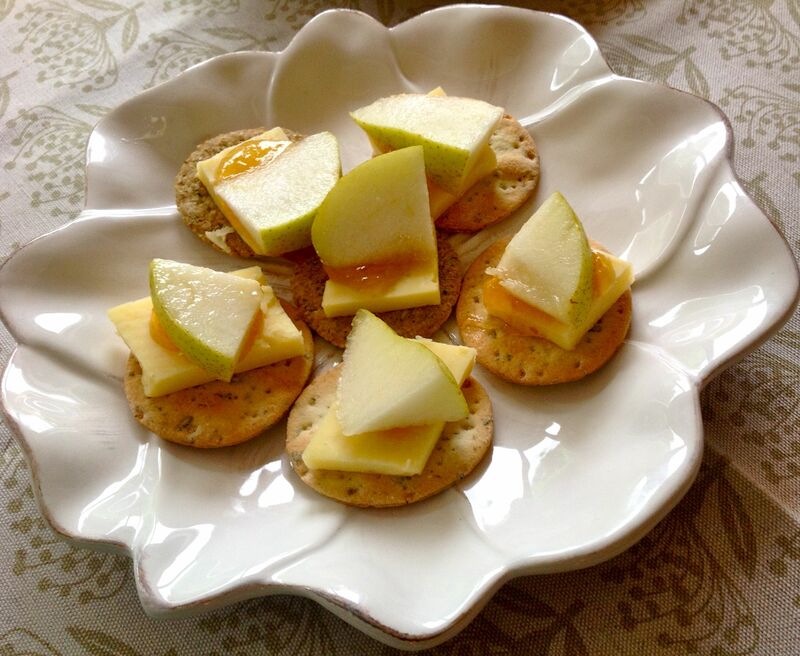 Place the Cheddar on, add a dollop of chutney and top with the pear slices. I used Khanum mango and lime chutney, but any chutney would work. 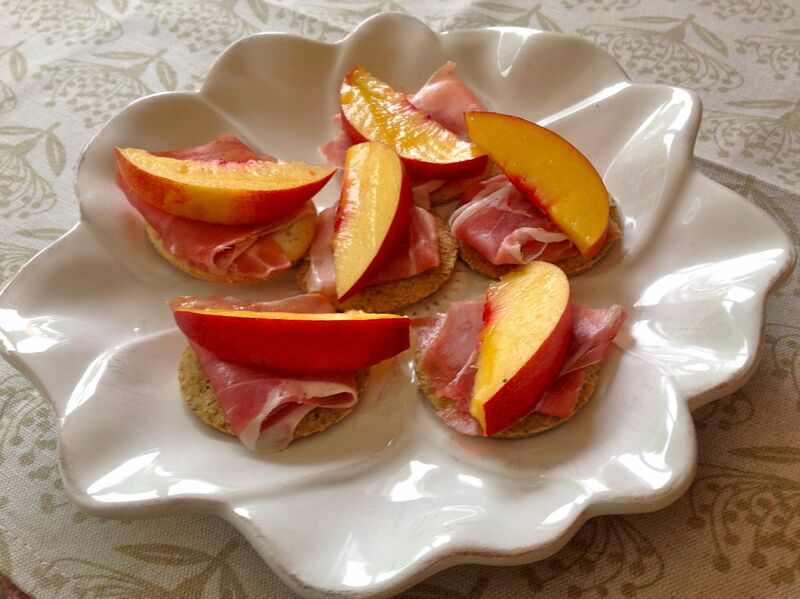 Cut the Parma ham into generous slices and fold on top of the biscuit. Slice the nectarine and place on top of the ham. You could also add some Buffalo Mozzarella on top. And here’s the main ingredient throughout, delicious seaweed biscuits. I love my sunflower plates, which are from a company called www.miafleur.com. 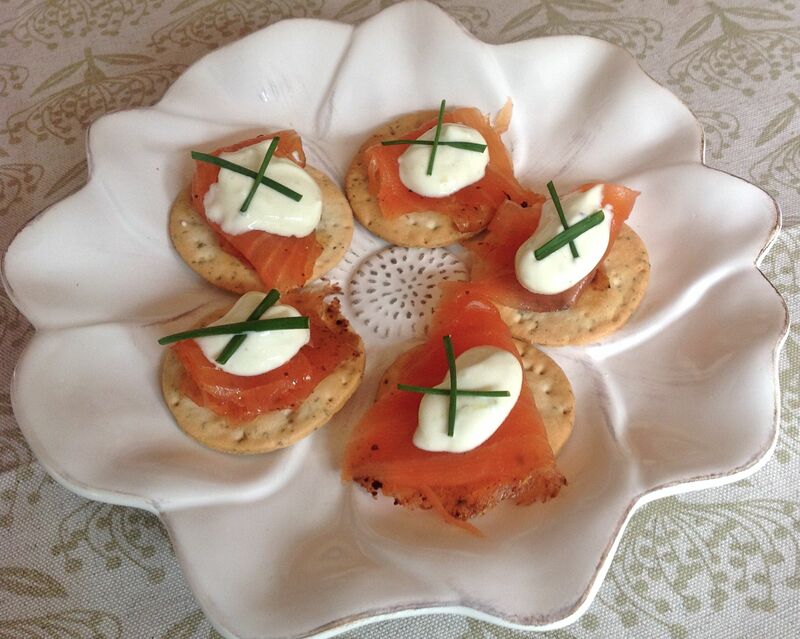 The canapes just look perfect on them! You will love them Krista! Pitching. When the players need to hit the baseball they stand right here. You need to consider why baseball is played before understanding its rules.victimasdemedicos.victimasdemedicos. ?OCHO INTERMINABLES DIAS !CARTA ABIERTA AL DR… Taking in unhealthy food assuredly doesn’t avail with rejuvenating your appearance. Visitors can fish, crab, and launch canoes and other small craft at the Narrows boat ramp. Just such as the superior it had been a rich thick 360 frontal for that amount of money.